ANC leaders are concerned after an internal poll showed the party garnering a mere 55% of the votes, compared with the 67% it scored in the last general elections in 2014. The provincial ANC has been trying to rescuscitate itself since it disbanded the provincial executive committee (PEC) and fired former North West Premier Supra Mahumapelo. But a task team appointed to run its affairs has found it tough to resolve the political turmoil there, especially given the push-back by disgruntled party branches. Kabelo Mataboge, spokesperson for the ANC’s North West interim leadership, said the task team had continued to assert its authority despite its legitimacy being challenged in courts, in councils and on the streets. 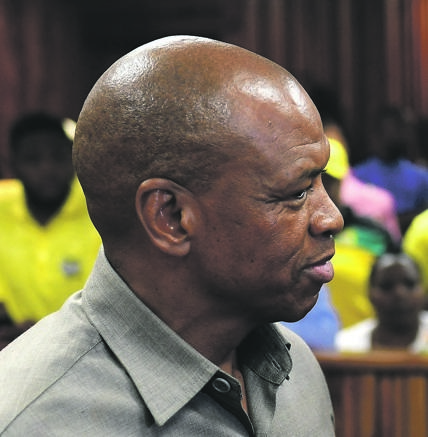 “The resistance is planned and well orchestrated, but we are weathering the storm,” he said this week as Mahumapelo and other applicants in the case to nullify the task team lost a high court bid to hear the matter on an urgent basis. Mataboge said another wave of rebellion had seen ANC councillors use municipalities as a platform to show resistance against the task team. He said a feature of this rebellion was the removal of ANC mayors outside of party protocol, and in cahoots with the opposition, as had happened recently in Matlosana (formerly Klerksdorp) Local Municipality. Last week, the local government MEC in the North West, Fenny Gaolaolwe, dissolved the Matlosana mayoral committee following the mayoral vacancy. Mataboge said the process to convene branches in preparation for the North West elections list conference was also moving “at a snail’s pace because we have started a new chapter” – referring to the ousting of Mahumapelo. City Press has learnt that last week, the task team read the riot act to ANC councillors in at least five municipalities across the province over issues of misconduct. And, in Dr Ruth Segomotso Mompati municipality in Vryburg, the team found out that three ANC councillors had been axed as members of the mayoral committee without their knowledge. District mayor Boitumelo Mahlangu was an ally of Mahumapelo. Meanwhile, Mahumapelo is convinced that mayors, directors in the local government and municipal workers who backed Nkosazana Dlamini-Zuma in the lead-up to the ANC’s Nasrec conference are being purged from party structures. He went on to accuse the provincial task team of “engaging in fraud”, saying some of the members’ names [who openly supported Dlamini-Zuma] had since been removed from the ANC membership lists with no reasons given. “All these issues have been brought to the attention of the party secretary-general, Ace Magashule,” said Mahumapelo. Sebang Motlhabi, a suspended member of the ANC Youth League PEC, was among the multitudes at the high court on Friday in support of Mahumapelo. He said the decision was taken to reward those who were loyal to Ramaphosa with new roles in the task team. Mahumapelo said in January he had led a delegation of Dlamini-Zuma backers to meet Ramaphosa to address “the concern that members in the North West and other provinces were being expunged from party structures by those loyal to ... Ramaphosa. Mahumapelo was quick to qualify his allegations, saying: “I don’t think it is Ramaphosa, though. Mahumapelo said the lack of decisive action by ANC leaders was why he and other disgruntled members had met with former president Jacob Zuma in KwaZulu-Natal. “The meeting was never secret or about any plot. It was meant to inform Zuma that my efforts to resolve differences through engaging the current leadership had come to nought, leading to my desire to follow the litigation path,” he said.